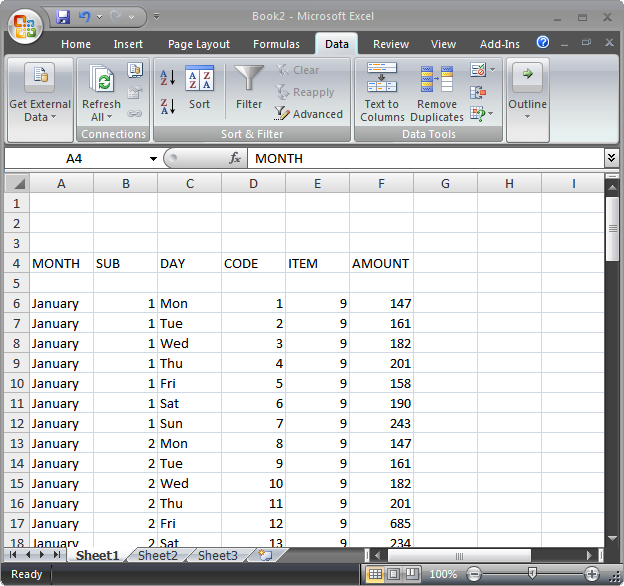 Nothing equals Excel for crunching of numbers, but what if your data isn’t already in an Excel spreadsheet? 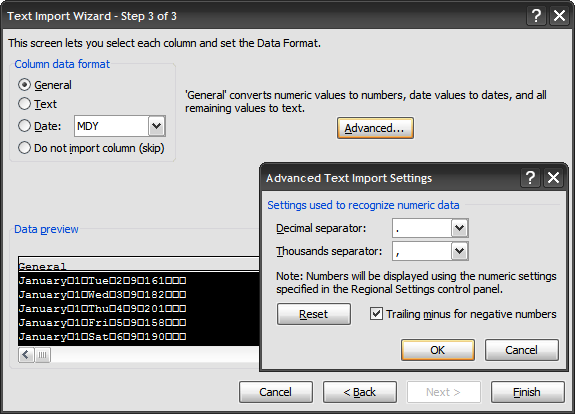 It’s as simple as using the Text Import Wizard. Open a blank or existing Excel 2007 spreadsheet. Click the Data tab on the Ribbon and choose “From Text”. Choose the text file you want to import and double click. This will open the Text Import Wizard. Choose your data type and which row you want to start the data at and click next. 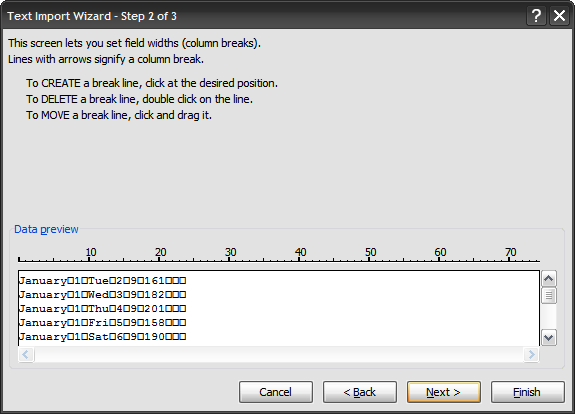 Step 2 of the Wizard allows you to manage the break lines between your data. 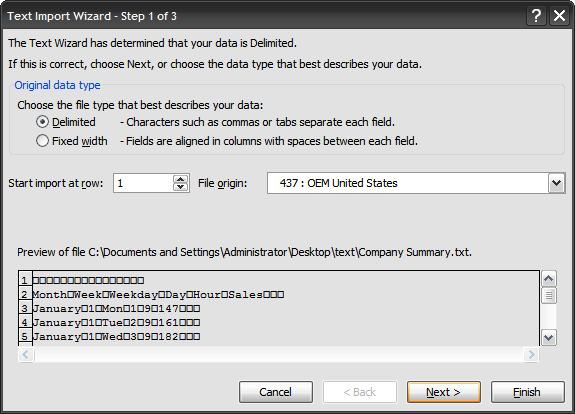 Step 3 of the Wizard allows you to choose column formats, provides data preview, and other advanced settings. When everything is organized click on Finish. Your Text Data will now be input into the Excel sheet!